Home > Ask Our Experts > Will Proanabol Increase Muscle and is it Safe? I have been reading about a product called 'Proanabol' which claims to increase muscle bulk/weight by 40lbs in 4 months, and more importantly is 100% safe. This product is advertised heavily especially on the Internet and is marketed as being extremely safe, legal and used by many professional athlete's around the world. The truth is, it would be very difficult to find any form of drug that does not cause some degree of side-effect on either the mind or body. There seems to very little published research available regarding this drug so it is difficult to say whether it is defiantly safe or whether there are any long term dangers or side-effects. My advice would be to talk to your local pharmacist for any information they may have on the drug as they will probably have heard of the steroid in their purer form and will be able to give you the right advice. Any products that aim to build muscle mass very quickly traditionally have an adrogenous effect on the body but as mentioned, there doesn't seem to be much available material regarding the research methods of this product. It can be so tempting to find a product that promises quick results that last for a long time and need routine maintenance and if you find there really are no negative effects then maybe you can achieve your goals more quickly and easily than by simple diet and a strict exercise regime alone. 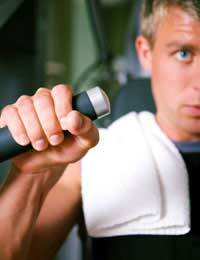 The best way of building muscle as you are probably aware is by taking a diet rich in proteins and regular muscle gaining strength exercises and techniques. This can take a lot longer than taking one of these quick fix solutions as many body builders turn to, but the long term effects of other anabolic steroids include infertility which can have a very negative effect on the rest of your life and can be very expensive to correct both emotionally and financially. My advice would be to not take any of this substance until you have asked a pharmacist for his or her honest opinion. The manufacturers and marketers of this drug will be very reluctant to publish any negative associations so you may have to dig quite deep with the scientific department to find out if there are any side-effects or long term consequences for it's continued use.